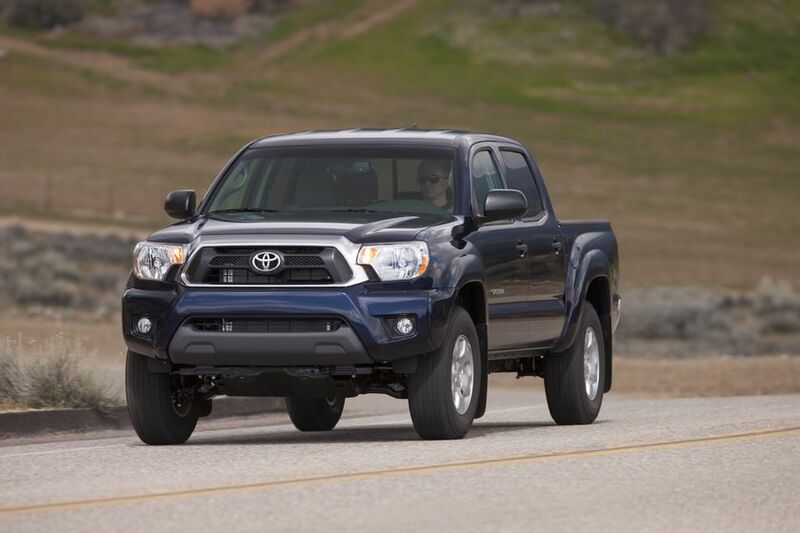 (TORONTO) – Building on a rich 70-year history of building high-quality, dependable and reliable trucks, Toyota has re-affirmed its commitment to trucks and to meet the needs of customers in the mid-size truck segment with significant updates to the Tacoma for 2012 – all at pricing that’s lower than the 2011 model year. 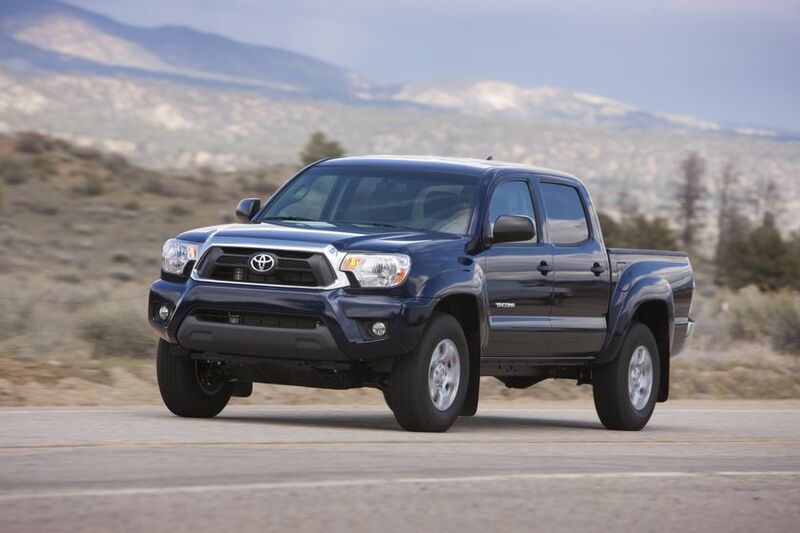 Built to deliver power, performance and versatility, the 2012 Tacoma – which starts at just $22,100 – has been updated to offer fresh new styling plus additional standard features and updated option packages. It features rugged engineering and a choice of powertrains and configurations to suit every need. It also has superior fuel efficiency, led by the Tacoma 4X2 with four-cylinder engine and five-speed manual transmission, which won the 2011ecoENERGY Award for most fuel-efficient pick-up at just 8.9L/100km combined. 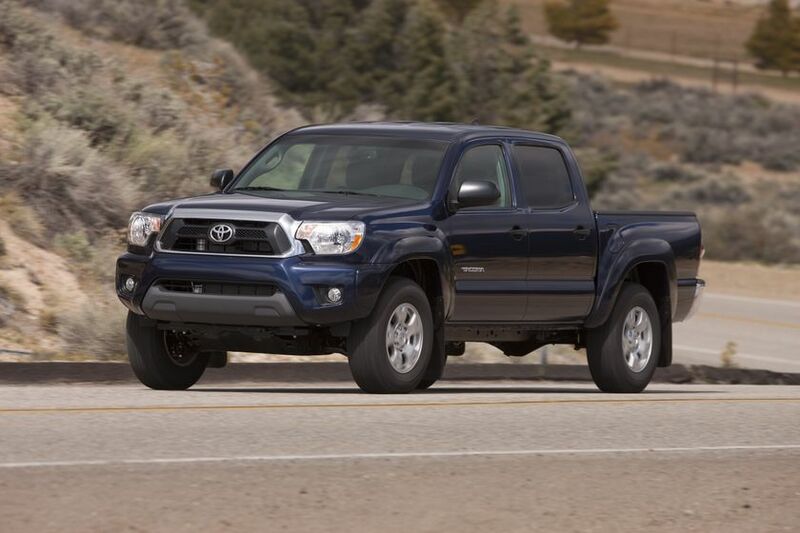 The 2012 Tacoma is available in 4X2 and 4X4 configurations, with a choice of engine size, transmission and cab size. With a choice of five-speed manual or four-speed automatic transmissions, the 2.7-litre 4-cylinder engine delivers 159 horsepower and 180 pound-feet of torque while retaining outstanding fuel efficiency. Also with a choice of six-speed manual or five-speed automatic transmissions, the 4.0-litre V6 engine generates 236 horsepower and 266 pound-feet of torque. There’s also a selection of cabs, either four-person Access Cab or five-person Double Cab. All models feature an impressive 1,587 kg (3,500 pound) towing capacity and up to 590kg (1,300 pound) payload. Available options packages on the 4X4 V6 models can boost this to 2,948 kg (6,500 pounds). 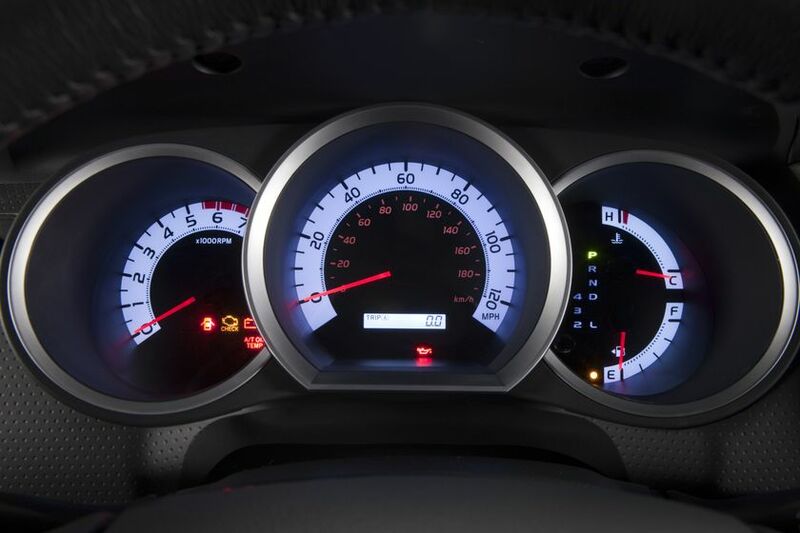 Drivers can enjoy a wide array of new features on all models. There’s an attractive new chiselled front fascia, including grille, headlamps, hood and bumpers. Inside, the steering wheel and shift knob have been redesigned and a new centre stack has piano-black accents (4X4 only). 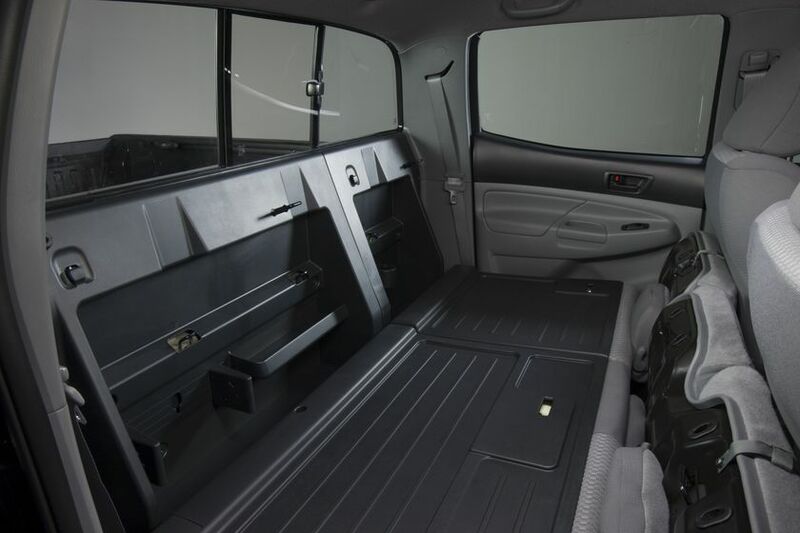 Plus, the vehicle comes with all-season floor mats, two additional cargo tie-down hooks, folding rear-seat headrests and new interior door trim. 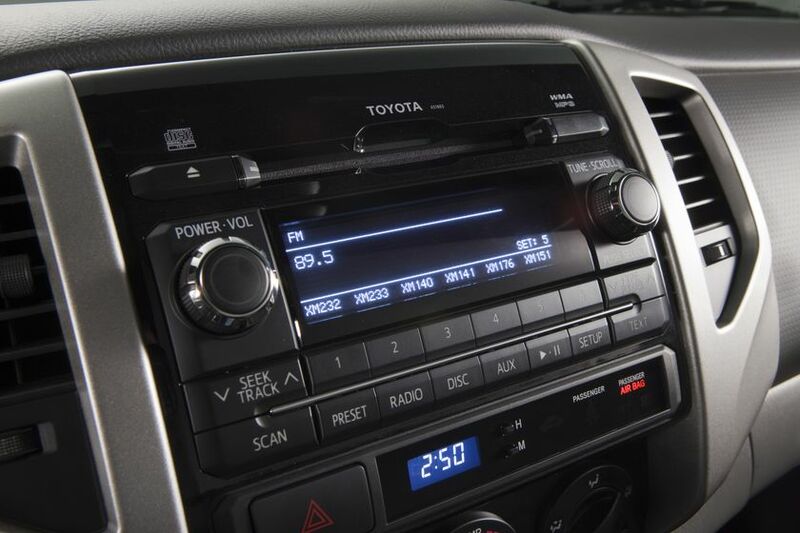 For the 4X2 models, new standard equipment includes an upgraded audio system with AM/FM/CD player, MP3 capability, auxiliary audio input and easy-grip control knobs. The 4X4 models take this one step further by including built-in Bluetooth and integrated XM satellite radio, steering-wheel-mounted audio controls, USB input, sliding rear privacy glass, cruise control, shark-fin antenna and keyless entry. The 4X4 Access Cab V6 has the additional standard feature of powered exterior mirrors. 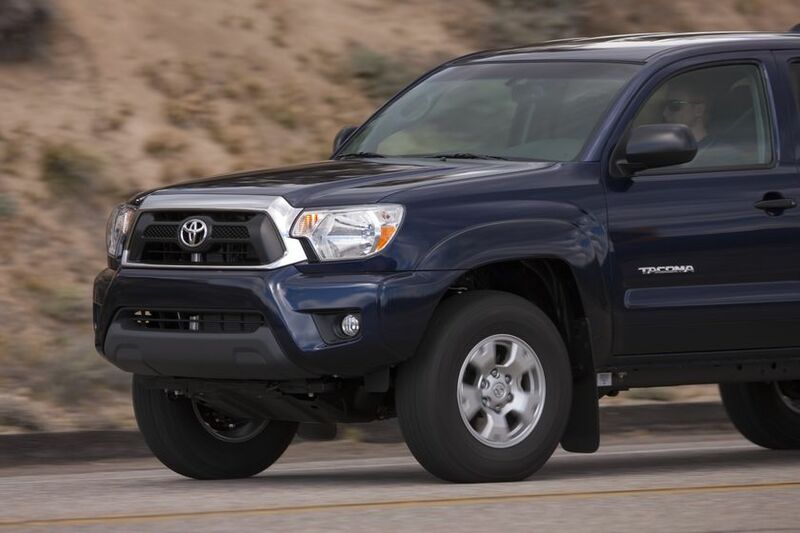 All 2012 Tacoma models are standard-equipped with the Toyota Star Safety System, which is a suite of six technologies: vehicle stability control, traction control, anti-lock braking system, electronic brake-force distribution, brake assist and smart stop technology. There are also active front headrests for whiplash protection and all-position three-point lap-and-shoulder belts. 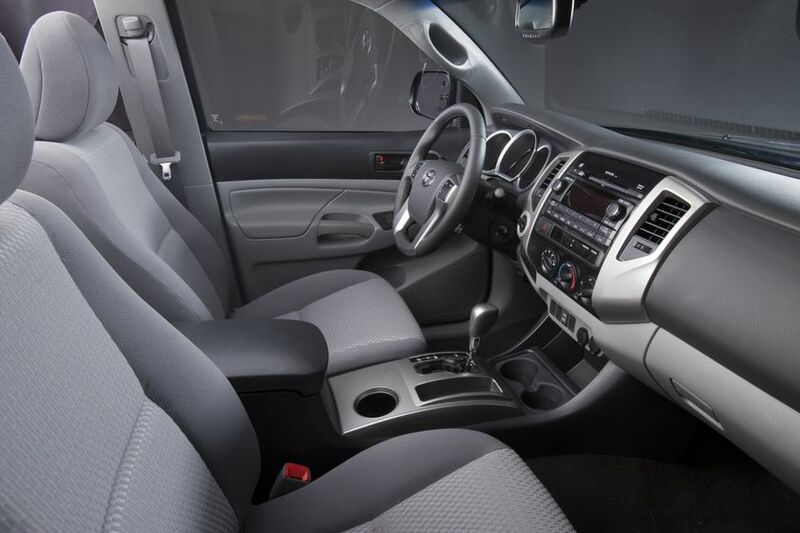 In all, there are eight available configurations for 2012, giving Canadians exceptional choice to select a compact pick-up that best fits their needs and lifestyle. The 4X2 Access Cab, with 2.7-litre 4-cylinder engine starts at $22,100 offers a choice of standard or automatic transmissions; for 2012, there is an available new convenience package that features rear privacy glass, cruise control, keyless entry, Bluetooth®, power mirrors and a leather-wrapped steering wheel. An SR5 power package is also available for this model. 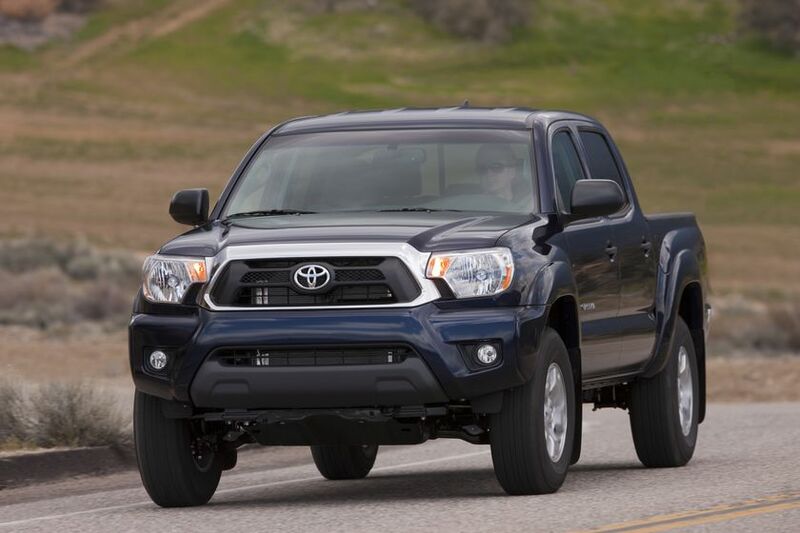 The 4X4 Access Cab with 4.0-litre V6 engine starts at an MSRP of $26,900 for the manual transmission. The popular version with automatic transmission starts at an MSRP of $27,900, $2,745 less than the 2011 model while gaining $1,425 in additional features that include: the same new audio system as the 4x4 Access 4-cylinder, sliding rear privacy glass, cruise control, keyless entry, and power mirrors. The SR5 power package now includes engine oil cooler, upgraded alternator, seven-pin towing harness, Class IV weight distribution hitch, and auto-dimming rear-view mirror with integrated back-up camera and compass. 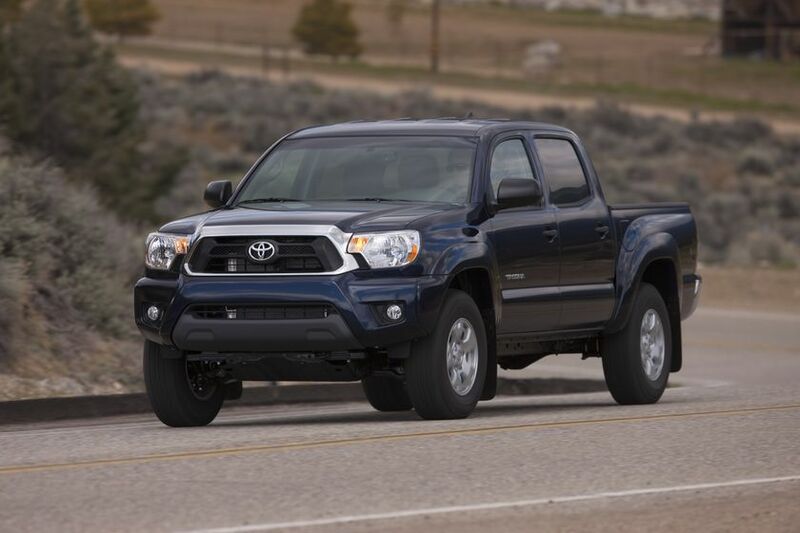 Also for 2012, the TRD Off-road package for this model has been upgraded to include front-skid plate, water-repellant seat material and an integrated garage door opener. 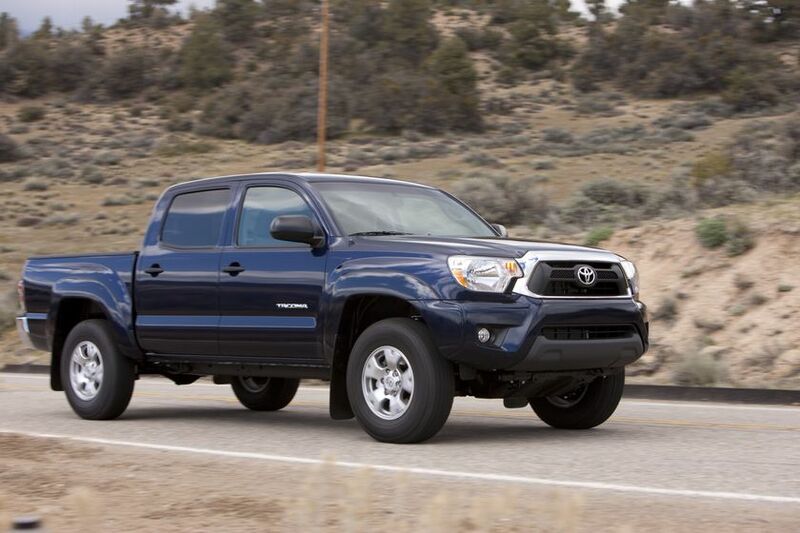 The Tacoma 4X4 Double Cab V6 starts at an MSRP of $28,500 for the manual transmission. The very popular version with automatic transmission now starts at an MSRP of $29,900, $3,340 less than the 2011 model. 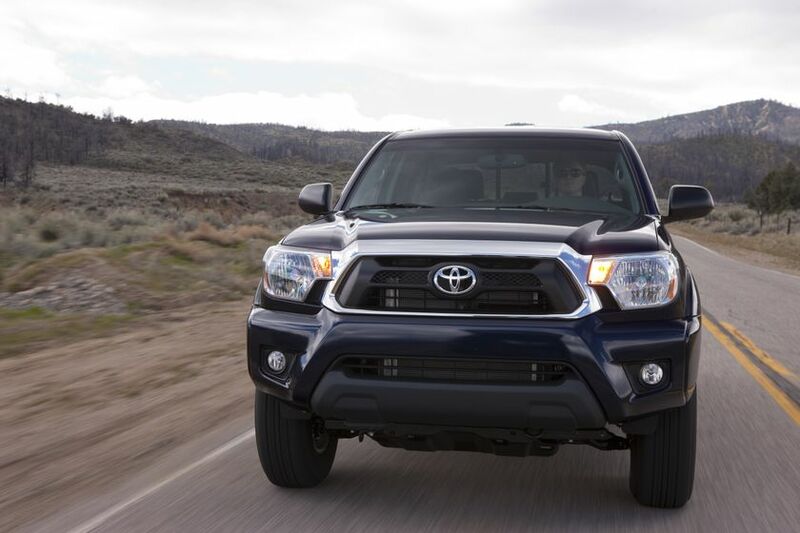 The Double Cab also adds the same new features and package updates as the 4x4 Access Cab V6, plus the SR5 power package and TRD Sport package features integrated garage door opener, turn signals on outside mirrors and water-repellant seat material. 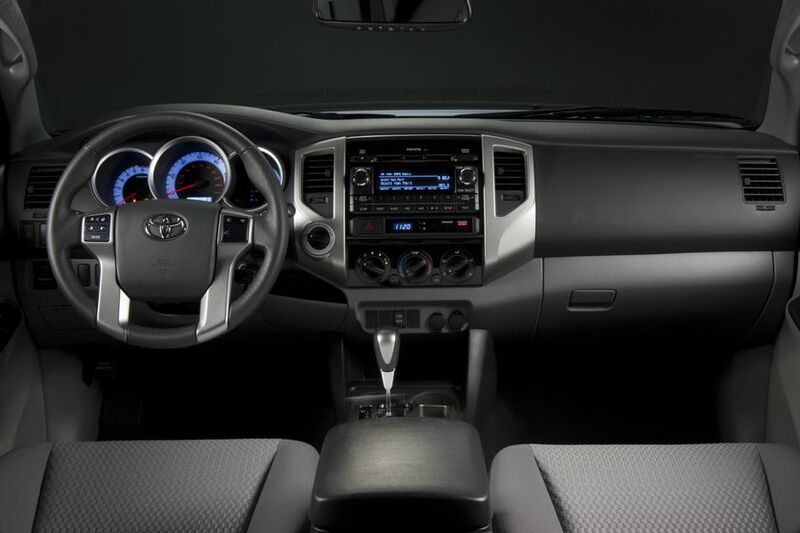 There is also a TRD Sport with leather package that offers heated leather seats with console-mounted controls. Spruce mica and nautical blue metallic have been added as new colours for all models.